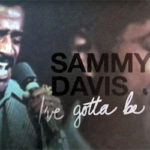 This page lists studio recording sessions Sammy Davis, Jr. recorded between 1961 and 1964 for Reprise Records. Visit Yes, I Can: Sammy’s Recording Career for background information to these sessions, and more information about Sammy on vinyl. Neal Hefti (arr) on b-d; Marty Paich (arr) on a.
Marty Paich (arr) on e-g, (con) on e-g; Morty Stevens (arr) on a-d, (con) on a-d.
"What Kind Of Fool Am I" was on the Billboard Charts for 15 weeks, peaking at #17. The Marty Paich Dek-Tette (acc) on a; Marty Paich's Orchestra (acc) on b-d. The Marty Paich Dek-Tette (acc) on a-b; Marty Paich's Orchestra (acc) on c-d.
Jimmy Haskell (arr) on d, (con) on d; George Rhodes (arr) on b-c, (con) on b-c; Chuck Sagle (arr) on d, (con) on d; Morty Stevens (arr) on a, (con) on a. An LP supposedly released in support of the Democratic National Committee. Eugene Page (arr) on c-d, (con) on c-d; Marty Paich (arr) on a-b, (con) on a-b. Dean Martin (v) on b; Frank Sinatra (v) on a.
Marty Paich (arr) on a-b, (con) on a-b. A little-known Christmas recording, which was circulated only to disc jockeys in 1963. The single promoted a 'Christmas Seals' charity. Ray Ellis (arr) on b, (con) on b. Two titles recorded (almost certainly seperately) at some point in 1963. The first was the title song for the motion picture "Johnny Cool", a film in which Sammy also had a minor role. The second was recorded as the title song for an album commissioned as a fundraiser for the United Nations. 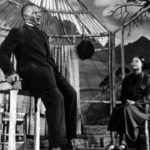 "Three Billion Millionaires" was an all-original music comedy celebrating diversity, written specifically for LP. Possible recording date around August, 1963. Recordings at this session also included master number 2237, a spoken introduction to the LP being recorded. Peter Knight (arr) on a-b, (con) on a-b. Recordings at this session also included master number 2249, an alternate ending to "Give Me The Moonlight" for the USA. While the USA ending was not used for the 2004 Collectors' Choice reissue on CD, it was released as a bonus track on the 2005 Warner Jazz CD reissue. "The Shelter Of Your Arms" was on the Billboard Charts for 17 weeks, peaking at #17. Warren Barker (arr) on d; George Rhodes (arr) on a-b; Terry Rosen (g) on c.
Recordings for a suite of four LPs making up the "Reprise Musical Repertory Theatre". "That Great Come-And-Get-It Day" also has a Reprise master number of 2167 from during this period. However, the performance used in the "Finian's Rainbow" release is simply Davis' recording from July 1961 (master 453). Marty Paich (arr) on a, (con) on a.
Marty Paich (arr) on c, (con) on c.
Bing Crosby (v) on b-c; Dean Martin (v) on b-c; Frank Sinatra (v) on b-c.
Perry Botkin, Jr. (arr) on b, (con) on b; Jimmy Haskell (arr) on c, (con) on c.
There was also a master number 2641, unhelpfully only titled “Once” recorded at this session. These performances can be found only on a demonstration record put out by Capitol ahead of the tryout run of "Golden Boy" on the road through Philadelphia, Boston and Detroit from June to September, 1964. One side featured 4 of Davis' numbers in the show. Two of the songs, "There's A Party Goin' On" and "Yes I Can" were cut from the production by the time it opened on Broadway on Tuesday, 20th October. The flip side featured 6 other numbers from the show (including 3 by Paula Wayne). Quincy Jones (arr) on a-c, e-l; George Rhodes (arr) on d; Sammy Davis, Jr. (tap) on k.
Other discographies note that alternate takes from this session were released as MGM SE-4825 "Sammy Davis, Jr. and Count Basie" in 1973. This is correct, but many of the vocals for that album were re-recorded in 1973. The takes for which Sammy recorded new vocals have been listed under a session in 1973. Sonny Burke (arr) on a, (con) on a.
Sammy Davis, Jr. (ldr) on b-c, e-f, (v) on b-c, e-f; Johnny Brown (v) on f; Billy Daniels (v) on a-b; Paula Wayne (v) on b; "Golden Boy" Company (bkv) on b-d, f.
According to the liner notes for the 1993 Angel CD reissue, the recording date for this album was 16th November. However, Michel Ruppli's more recent Capitol discography lists the dates used here. It could be that the November date featured the outstanding songs that did not feature Davis. While recording the cast album for "Golden Boy" over this and the following session, Davis was suffering from severe laryngitis. His voice was hoarse and husky and he could barely hit any of the notes, but the recording session went ahead regardless. Capitol later re-released the album in 1965 using newly-recorded versions of 4 songs with Davis in (slightly) better voice. (See session dated 1st April, 1965). Terrin Miles (v) on c; Paula Wayne (v) on a. Assumed also recorded during this session is a reprise of “Gimme Some”, which was used to close the original LP. For the 1965 re-issue, Capitol instead included the orchestral accompaniment to the finale of the show, a boxing bout.